Azim Makanojiya, 29, a Mumbai-born computer-engineering graduate of the University of Houston, founded the e-commerce company Wrist-Band.com and emerged as the largest online seller of silicon wrist bands in the US. 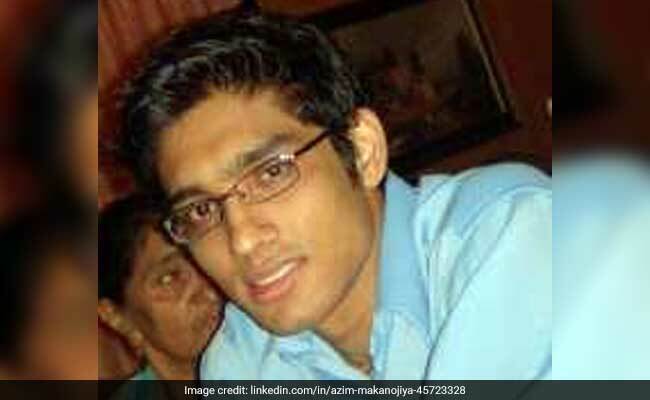 Mumbai-born Azim Makanojiya, 29, founded the e-commerce company Wrist-Band.com. Houston: An Indian-American entrepreneur has agreed to plead guilty to conspiring to fix prices for customised promotional products sold online to customers in the US, according to the justice department. 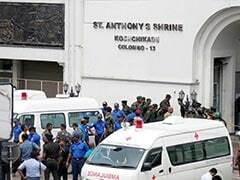 He is charged with price fixing in violation of the Sherman Act which carries a maximum sentence of 10 years in prison and a maximum fine of USD 1 million for individuals. Zaappaaz Inc.(d/b/a WB Promotions Inc., Wrist-Band.com and Customlanyard.net) and its president Makanojiya agreed to plead guilty to a one-count criminal violation of the Sherman Act, the justice department said. The maximum fine for an individual may be increased to twice the gain derived from the crime or twice the loss suffered by the victims of the crime if either of those amounts is greater than the statutory maximum fine. Acting US Attorney Abe Martinez, Acting Assistant Attorney General Andrew Finch of the Department of Justice's Antitrust Division and Special Agent in Charge Perrye K Turner of the FBI's Houston Field Division made the announcement. According to the felony charges filed yesterday in the US District Court for the Southern District of Texas in Houston, the conspirators attended meetings and communicated in person and online. The investigation has revealed that the conspirators used social media platforms and encrypted messaging applications, such as Facebook, Skype and WhatsApp, to reach and implement their illegal agreements. Specifically, the defendants and their co-conspirators agreed, from as early as 2014 until June 2016, to fix the prices of customised promotional products sold online, including wristbands and lanyards. In addition to agreeing to plead guilty, Zaappaaz has agreed to pay a USD 1.9 million criminal fine. "As today's charges show, criminals cannot evade detection by conspiring online and using encrypted messaging. "In addition, today's charges are a clear sign of the Division's commitment to uncovering and prosecuting collusion that affects internet sales. American consumers have the right to a marketplace free of unlawful collusion, whether they are shopping at retail stores or online," said Mr Finch. "Schemes like the defendants' cause financial harm to consumers who purchase goods and services and to businesses who sell goods and services in compliance with the laws of the United States. The United States will continue to investigate and prosecute individuals and businesses who seek to gain an illegal unfair advantage," said Mr Martinez. Mr Turner said the FBI stands ready to protect consumers from unscrupulous business practices. "Antitrust laws help protect the competitive process for the benefit of all consumers," Mr Turner said. Makanojiya has agreed to cooperate with the Antitrust Division's ongoing investigation. Makanojiya founded Wrist-Band.com as a project at the age of 19 while attending the University of Houston pursuing computer engineering major. Starting the operation in his garage, Makanojiya was also supporting his family financially at the time. After just one year in business, Wrist-Band.com generated over USD 6.9 million. In 2011, the company was ranked 31st on the Inc 500 list of fastest growing companies and was also included as one of the fastest growing technology companies in Houston. The company began as a two-man operation taking orders over the phone. Since then, it has approximately 30 call centre representatives and 40 manufacturing employees working in the Wrist-band.com factory in China. The company operates an e-commerce website that retails silicone wristbands in various colours that can be customised with specific words or phrases. It also has wristbands with QR codes or RFID chips. It has worked with companies such as Coca-Cola and with events such as the 2012 MTV Video Music Awards.